I must confess I have been in a crafting funk for the past 2 weeks or so and so it was a great pleasure to sit down today and make some simple cards to give out to my beautiful neighbours. 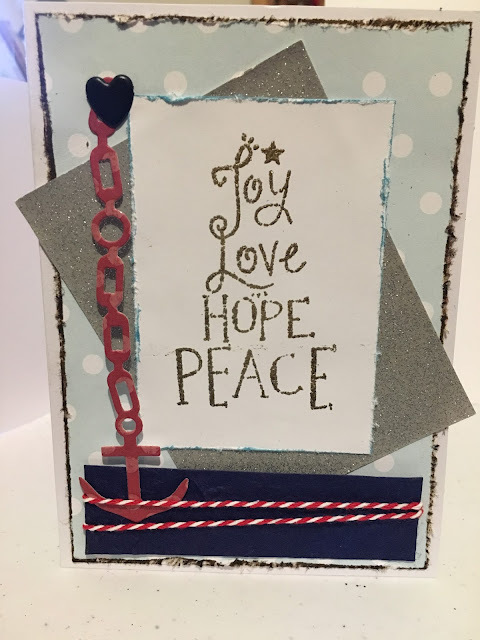 Because we live by the ocean, I used this anchor die I recently acquired and thought it added a lovely non-traditional touch to this blue and silver colour scheme. 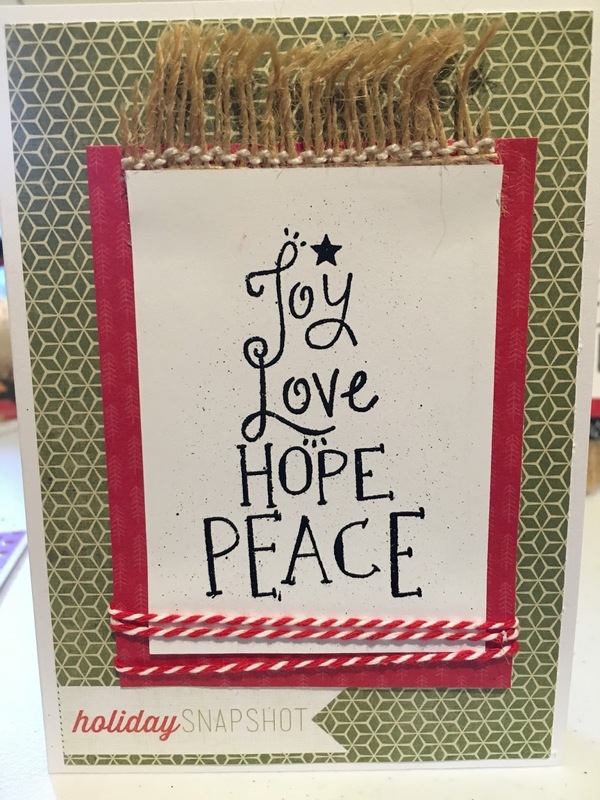 I used the same stamp in all the cards- Kaisercraft's Holly Jolly. 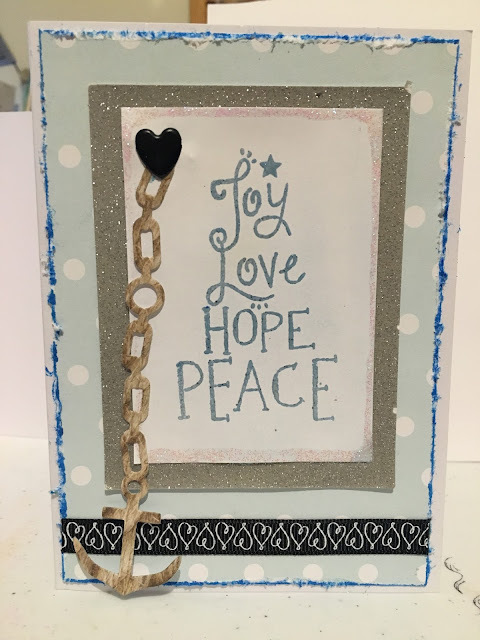 I stamped the centime "Joy- Love-Hope-Peace" using clear Versamark and then heat embossed it with embossing powder. I asked my 12 year old son what he thought and he said it needed more colour so I added a little more red and blue to produce a slightly different looking card. For the next card, I used red and blue papers and layered them up with some burlap to achieve such a classic looking nautical theme card. 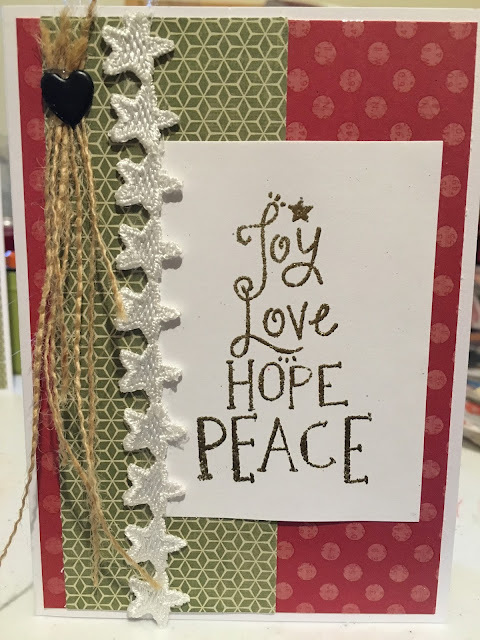 For the final 2 cards, I used traditional green and red Xmas colours from Heidi Swapp to come up with these 2 beauties. 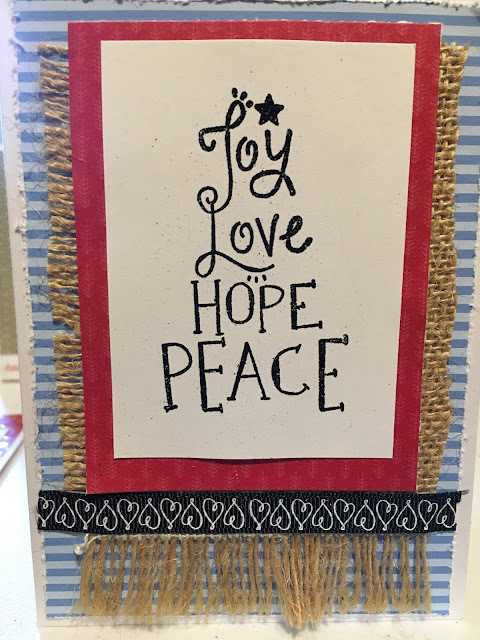 It feels good to be crafting again!! Merry Holidays to you all and here's hoping 2016 is a great one for all of us.